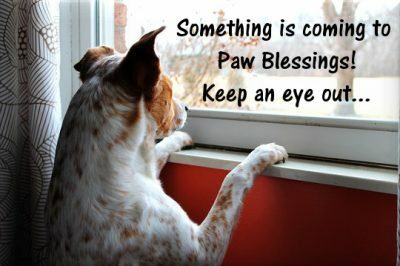 Something new is coming to Paw Blessings and I’m so excited!! I can not wait!! In the meantime, you can join our email list so you don’t miss a beat! Plus, you’ll get 20% off your first order! So cool! This entry was posted in Paw Blessings Jewelry. Bookmark the permalink.